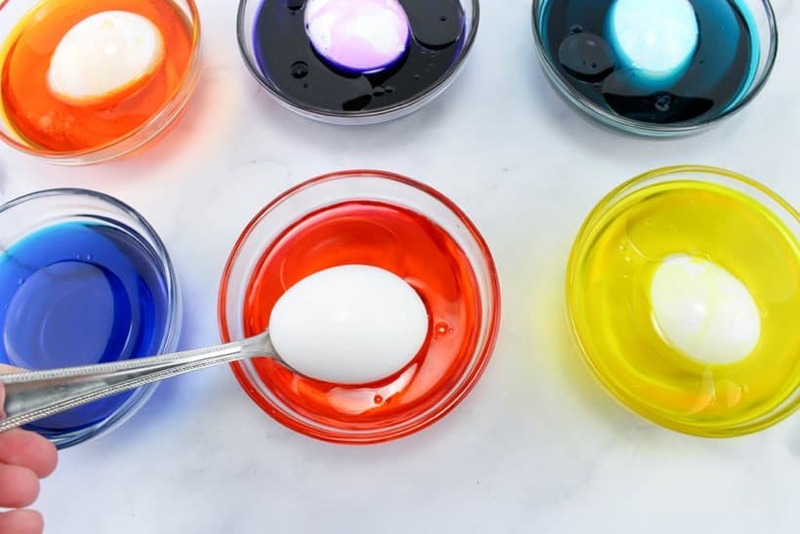 It wouldn’t be Easter without dying Easter eggs, right? 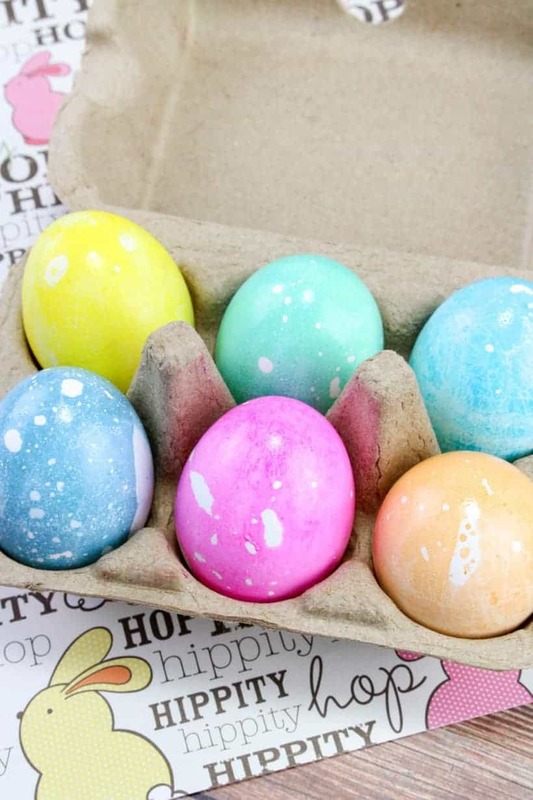 I’m holding out hope that this spring’s weather will cooperate for us to dye our eggs outside at the picnic table this year! I’ll all for keeping the mess OUT of the house! 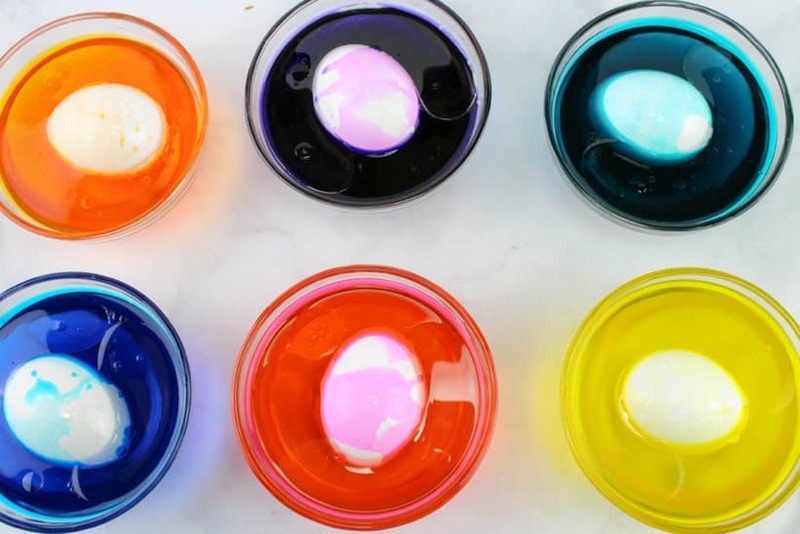 I love experimenting with ways to dye eggs with my kids. 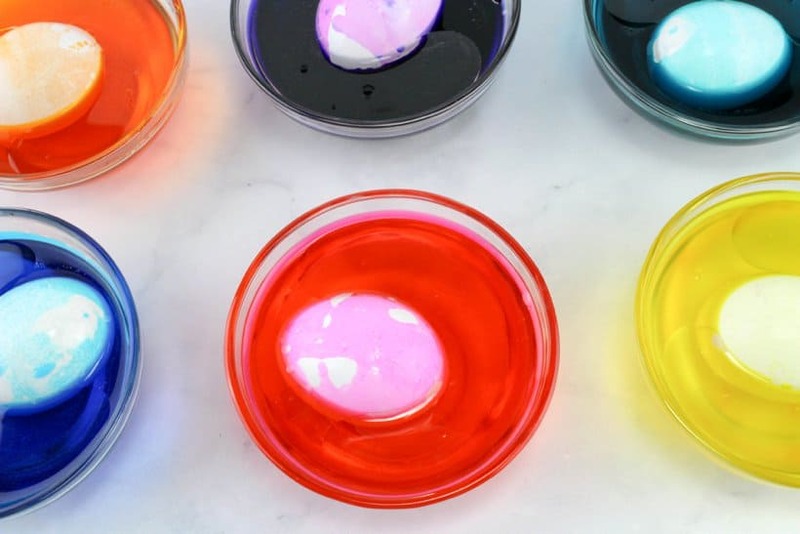 What I love about these Oil and Water Dyed Easter Eggs is that you can also call it science for the day! 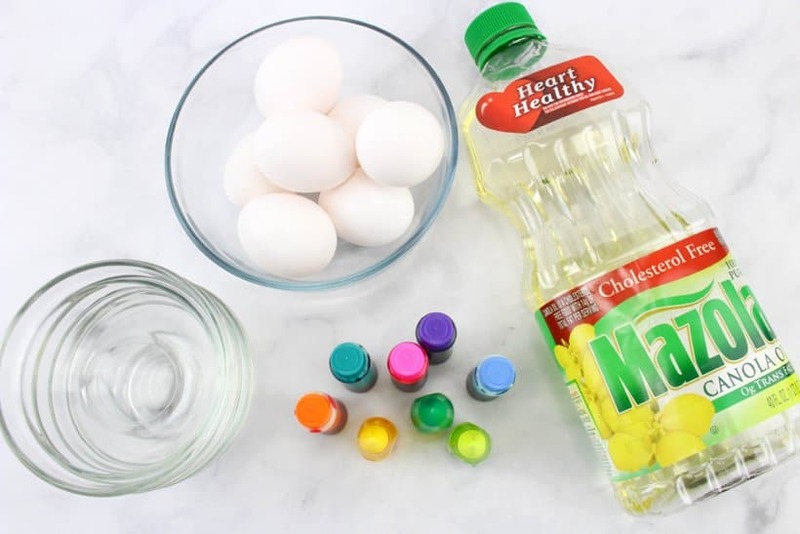 Simply ask your kids how they think the ingredients create a marbled effect on the eggs. Place about 1/3 cup of water into each bowl. 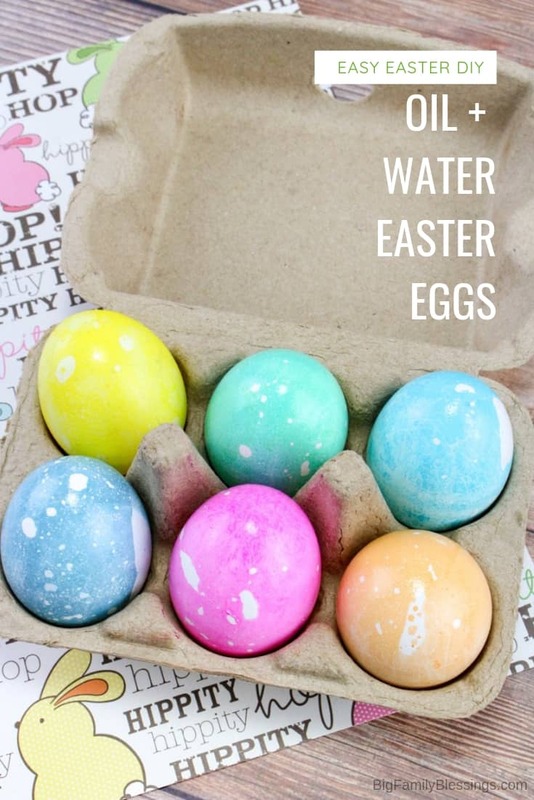 Depending on the size of your bowls, you’ll want enough water for about two-thirds of the egg to be covered. 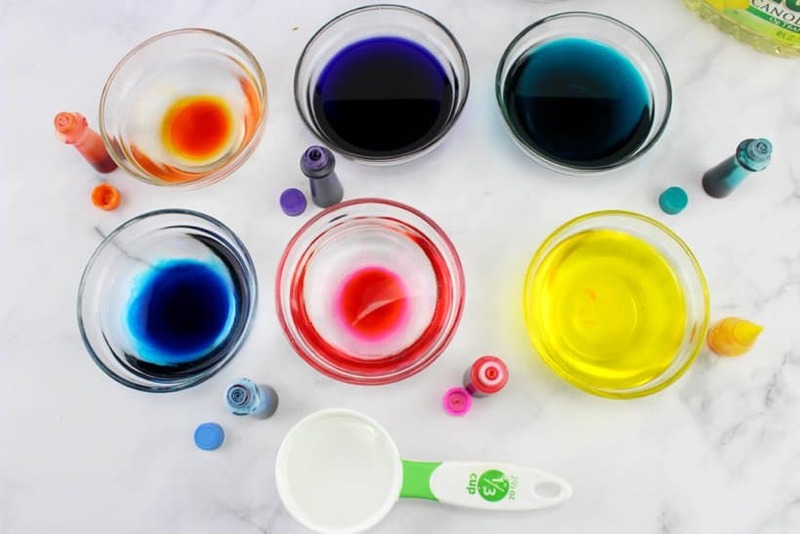 Add 6-8 drops of food coloring to each bowl and mix. 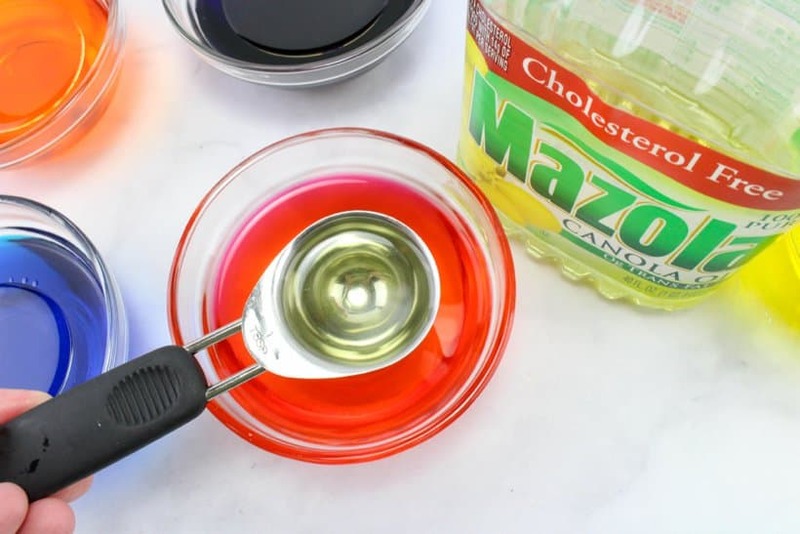 Add one Tablespoon of oil into each bowl. 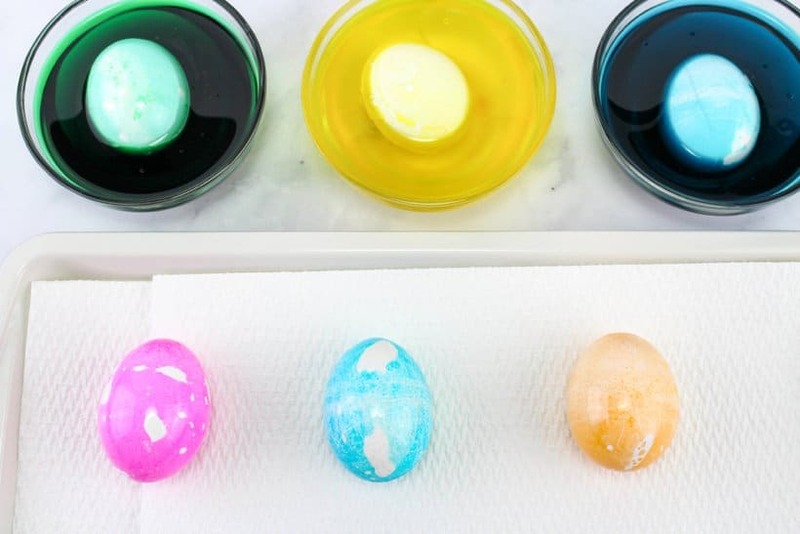 Place one egg into each bowl. With a spoon, spoon the water/oil mixture over the egg and let sit for about 10 minutes. Then roll the egg so it turns over and let sit for another 5-10 minutes. Take the eggs out and lay on paper towels. 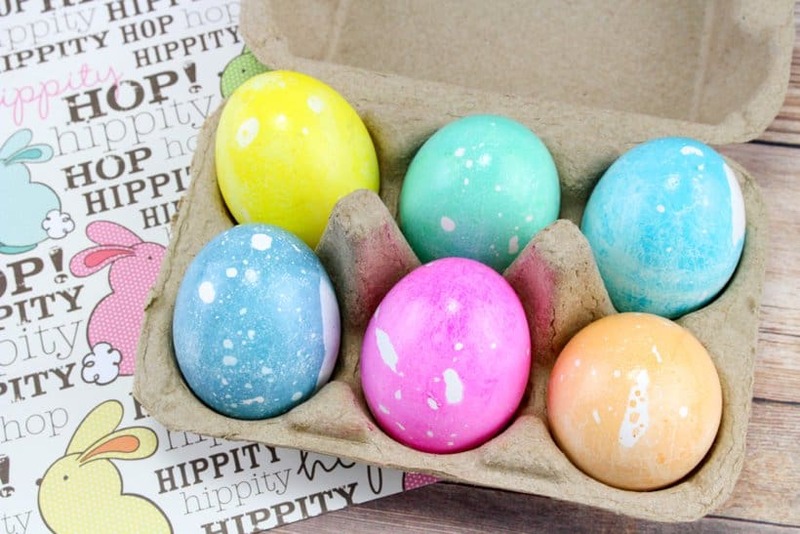 Let sit for a few minutes, then wipe off each egg with additional paper towels. That’s it! 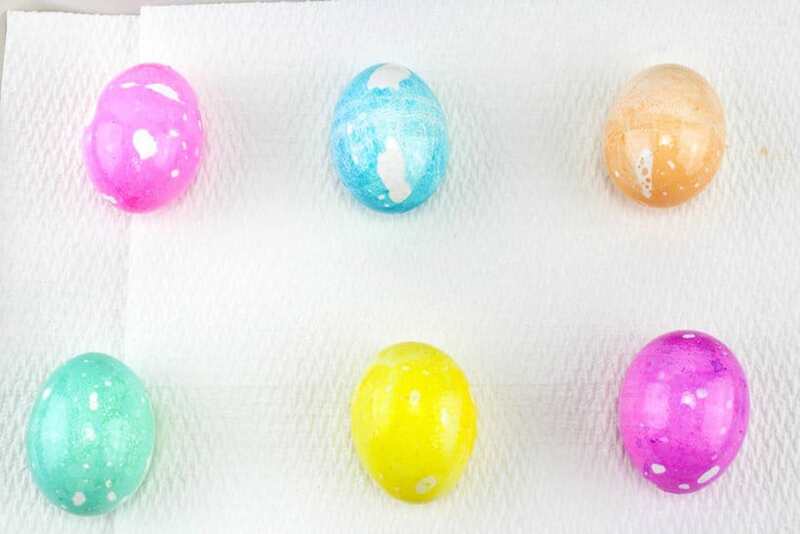 Adorable oil and water dyed Easter eggs!